Tinba Trojan specifically targets bank customers with deceitful debt notice. The Tinba Trojan is banking malware that uses a social engineering technique called spearfishing to target its victims. 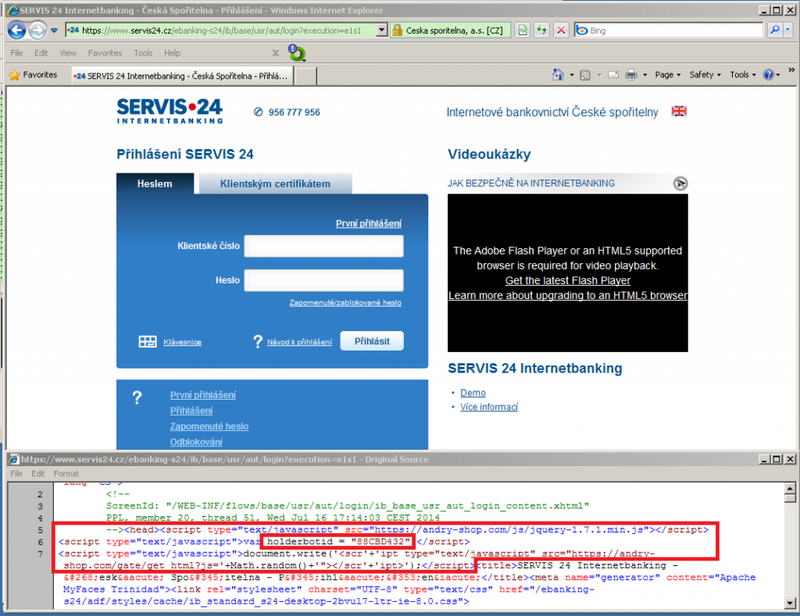 Recently, targets have been banking customers in Czech Republic, AVAST Software’s home country. Tinba, aka Tiny Banker or Tinybanker, was first reported in 2012 where it was active in Turkey. A whitepaper analyzing its functionality is available here (PDF). 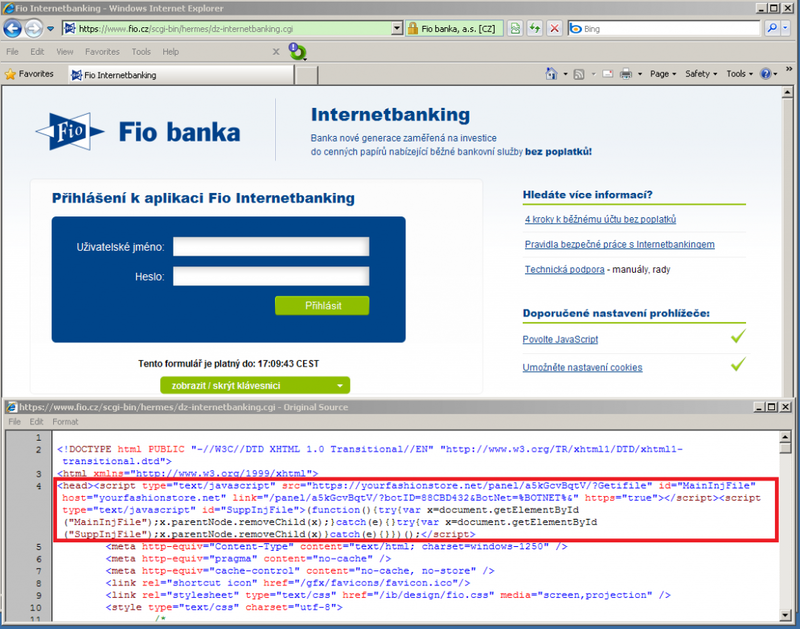 However, the spam campaigns against bank users in Czech Republic are still going on and have became more intensive. 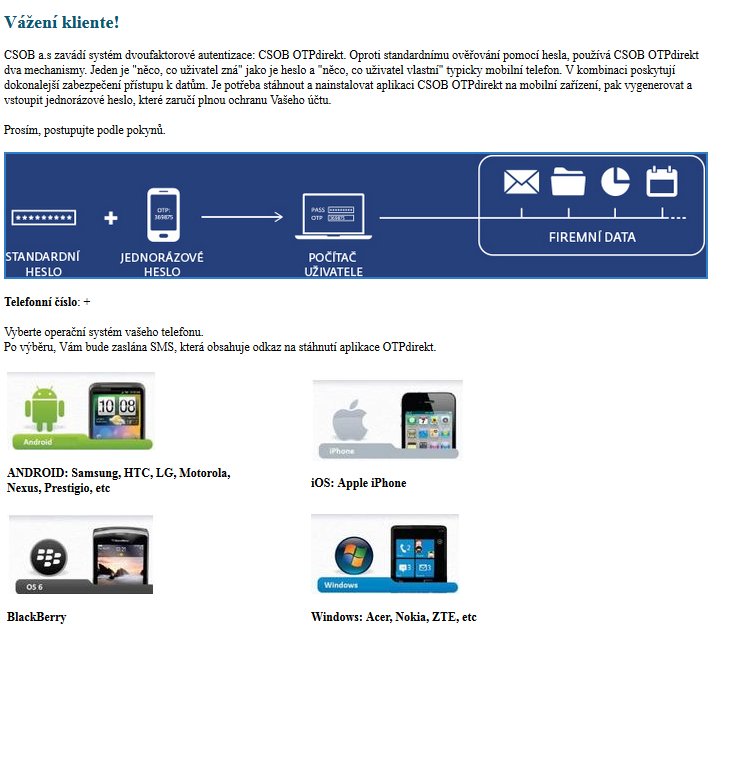 Here is an example of what Czech customers recently found in their email inbox. To bank account 549410655/5000, variable symbol 82797754, CSOB a.s. Using the spearfishing social engineering tactic, the attackers attempt to scare their victims with a specially designed email message explaining that a debt exists which needs to be paid. A file attached to the email is named prikaz0581762789F75478F.zip. It contains an executable file prikaz-15.07.2014-signed_1295311881CC7544E.exe. Prikaz means order in the Czech language. The executable file in the attachment is heavily obfuscated. After unpacking, it turns out that it is a downloader which downloads, unpacks, and executes the next stage of the threat. It also drops and opens a RTF file containing the above mentioned message. The first stage was well described by colleagues from AVG in their blogpost. The second stage is obfuscated with a similar custom packer as stage 1. The screenshot below shows a long spaghetti code, with EnumFontsA redirecting code flow to its callback. Later on, the Tinba Banker gets decrypted and executed. We will not delve into details about this particular threat, because it is nothing new, however we are interested in the configuration file. When transmitted, the data are encrypted with RC4 cipher with a hard-coded password, displayed in the figure below. After the decryption, we get Tinba's configuration file. We can clearly see that it targets the following Czech banks: Ceska Sporitelna, CSOB, Era and Fio. Variants for Windows Phone, Blackberry and iPhone are offered, but it seems that the download is still not implemented. The only available application that provides pairing a personal computer with a mobile (and therefore serves for a multifactor authentication bypass) is an Android app. In the figure below, you can see that the format of configuration file is compatible with tools related to banking Trojans Spyeye and Carberp. Screenshots below shows active webinjects on an infected machine. When the victim logs into their bank account, he/she is presented with the following message. 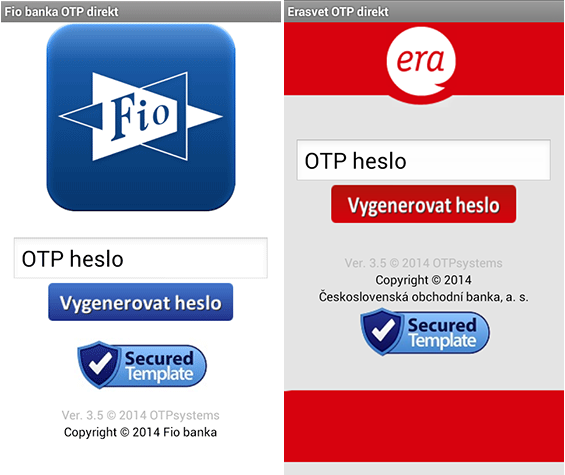 This message says that two factor authentication via OTPDirekt application is needed. The user is asked to select the operating system of the smartphone. In the case of Android, a picture with a QR code is presented. 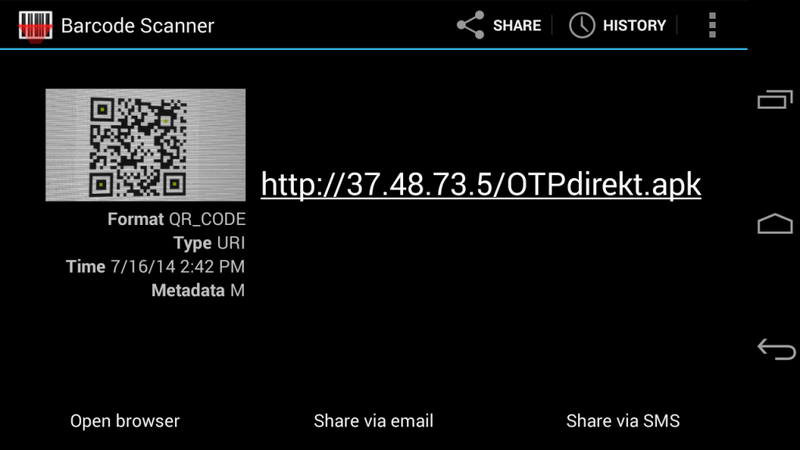 This QR code leads to the shortcut link, which redirects the user to the server with the Android application. The shortened links leads to a "potentially problematic" link. 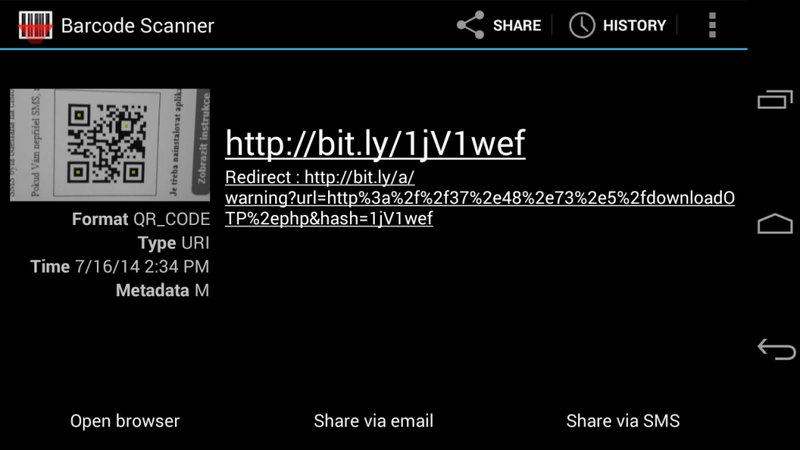 If we ignore this warning, we get the malicious Android application. If the installation is successful, "Thank you for using OTPdirekt application" is displayed to the victim. If a user chooses any operating system except for Android, he is presented with the following message, translated as "Please try again later!" The downloaded Android application was already detected by avast! as Android:Perkele-T.
Below we present screenshots of the fake Android apps. From the malicious code inserted into the internet banking website, we can deduce the following information. The comment "Instrukciya" is a Russian word, which means "instruction." It is possible that Russian speaking individuals are behind this attack. SMS messages from the infected phone are forwarded to the phone number, which is registered in the Astachan area, which is in the southern part of Russia. 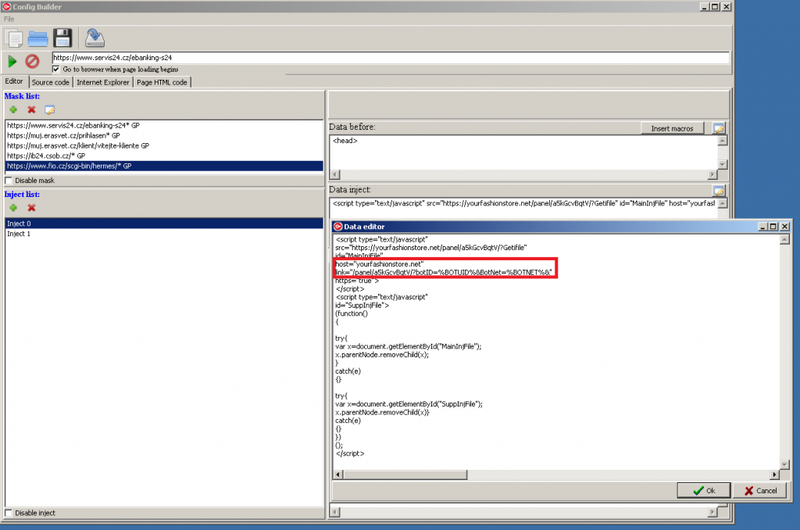 Malware tries to mask its activity by hiding already issued (illegal) transactions and the account balance. 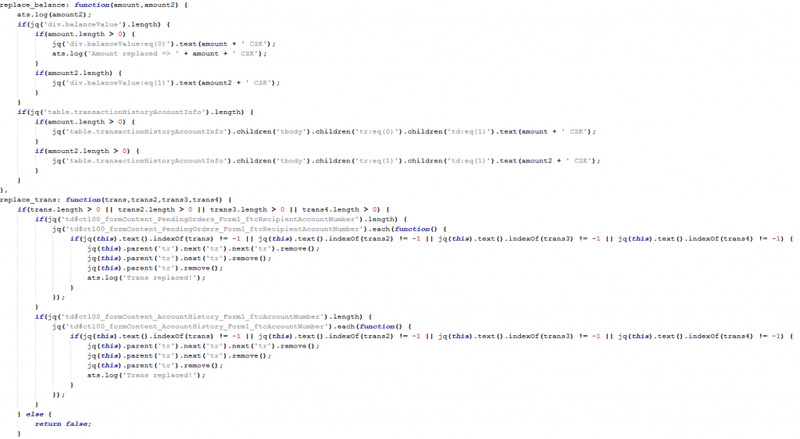 You can see that in the displayed snippet of the code. In the first phase of the spearfishing campaign, malware authors focused on bank customers with more than 70,000CZK (about $3,500) account balance. In the second phase, they focused on all customers, no matter what their account balance was. In the figure below, if the balance is below 70000 CZK, only information about the malware installation and account number was sent to C&C. In the other cases, information about account balance was sent, too. This part of code was finally commented out and replaced with the second variant. Social engineering is an effective method to deliver malicious code execution. The text was so persuasive that even a few people in our close neighborhood got infected. Although banks have introduced multifactor authentication to protect their users, more advanced malware authors adapted their Trojans to bypass it. This analysis was done collaboratively by Jaromir Horejsi, Peter Kalnai, David Fiser and Jan Zika.